A high-energy dance form that uses the latest age appropriate Hip Hop and Pop music coupled with dance steps influenced by some of today's finest dance choreographers. A style that is incessantly changing, Hip Hop incorporates poppin', lockin', and body isolations. Students will learn the trendy hip hop style of today as well as old school, and always emphasizes dancers finding their own individual swagger and style. Hip Hop is a fun, high-energy way to express oneself in a big way! Ballet is a unique synthesis of artistry and technique, of self expression and discipline. It's challenging, great fun, and is the basis for all dance. This class stresses age-appropriate skill development, creative expression, and music appreciation. Introducing your child to classical ballet is a dazzling gateway to the performing arts. Focus on performance and style! Learn choreography to popular Broadway musicals such as The Lion King, Legally Blonde, and Grease. Musical theatre concepts and skills such as melody and rhythm, relazation, lip syn, and dancing with props make this a unique character based dance class. Modern Dance Class will be based on the technique of Katherine Dunham, innovator and founder of the first African-American modern dance company. This style utilizes drums, rhythms, and African dance movements. Classes will focus on improvisational dance to encourage individual expression and choreographed dance steps to stimulate the mind. Lights, Camera, Action! In this cinematic class students will explore the world of movie making both in front and behind the camera. Classes will include audition technique, silly commercials, re-making their favorite scenes from TV shows, and more! Each week the students will experience time acting for the camera as well as exploring the other jobs in production such as director, camera man, and set designer. The best part is since everything is taped all the students get to watch their performances and enjoy the thrill of being on TV! In this fun introduction to the world of theater, students get the chance to explore their creative sides through fun and adventurous theater games. Theater can be a wonderful tool to help children break out of their shells and become more confident in other areas of their life. Through silly play-making and challenging improv exercises, imaginations are expanded and horizons are broaden. This active class will also teach the basics of the theater world such as stage directions, memorization skills, and improve confidence in public speaking. Everyone gets up, plays, and participates! Perfect team building class! Ever wish you could dance like your favorite singers? Well now you can! In Music Video Madness we combine the coolest moves from famous music videos and let YOU be the star. This class includes choreography from some of today’s hippest music videos inspiring kids to break out of their shells and rock! Each week we will explore new moves, adding fun costumes and accessories to ultimately create our own music video that we will tape and enjoy! Vamos a bilar! Let's Dance! Join Dora the Explorer and Diego on a dancing adventure as they travel the globe. Dora's songs are perfect for engaging our imagination and inspiring creativity. With the help of Dora and Diego, we'll learn how to turn ordinary movements into an EXTRAORDINARY DANCE! 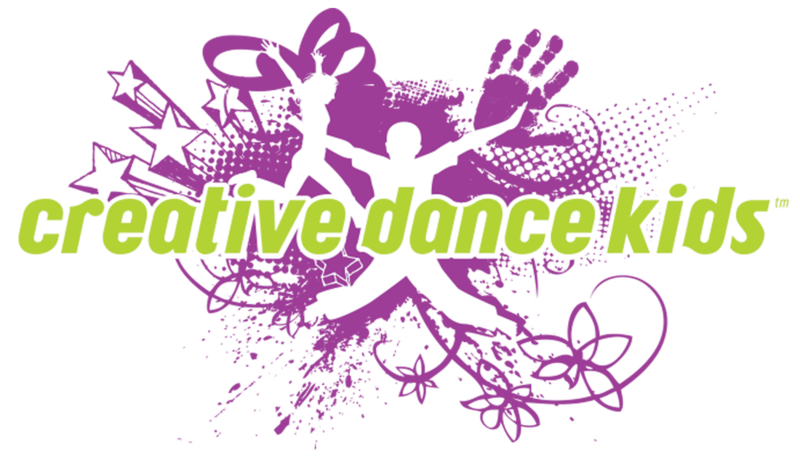 Dance a new adventure every class! Cinderella must make it back home before midnight; Peter Pan and his gang have to escape from Captain Hook; help Snow White wake up after eating the poison apple; and Pocahontas must go on a quest to earn her feathers. Disney Dance includes fun choreography and music that stimulates the imagination. The beach is coming to dance class! Summer is in full swing for the dancers, as they hula, play games, jump and jive to the hits of summer fun music. Everybody's going surfin', surfin' USA! Hola! Shalom! Bonjour! Howdy! Join us as we visit a new country each week. You will learn how children from other cultures dance and sing. With fun props, music especially for children, and a little imagination, we'll be doing the Mexican Hat Dance, Hawaiian Hula, and Turkey in the Straw for the Cowboys and Cowgirls! Incorporating basic hip hop movements and age appropriate, dynamic music, this class strives to foster each child's creativity and determination, while nurturing his/her capacity to take risks, to strive freely, and to take pride in success. Be ready to have a blast! Dance class has joined the circus! Be a clown! Watch the lion roar as he jumps through the flaming hoop. Soar high in the air on the flying trapeze. Perform acrobatics on a tiny tightrope. Circus themes and characters will excite the imagination and bring out the performer in each child. As a special treat, our circus dance class will perform for you . . . and don't forget the monkeys and elephants! Come dance and bring your favorite fairy tales to life! We will create our own dance production based on a beloved fairy tale while learning dance movements that tell the story as each child portrays a character. Children are encouraged to bring a magical dress up costume to class. Focus on performance and style! Learn choreography to popular Broadway musicals such as Beauty and the Beast, Shrek the Musical, the Little Mermaid, and Grease. Students develop their understanding of musical theatre concepts dancing with props and character based movements. Be ready to have a great time! Is your favorite superhero Spider Man, Superman, Super Girl, The Incredibles, the Power Puff Girls, or someone you know? We will, "leap tall buildings in a single bound," "spin to create a protective shield," and "soar higher than the clouds." We'll even create our own Superhero incorporating different movement concepts and qualities. This class is a fun way for children to understand how movement and dance are forms of expression that help to tell a story. Come marvel at the Superheroes when we perform for family and friends! This special underwater adventure will have children diving and discovering how sea creatures dance in their own way. Family and friends will later meet us back on land for a spectacular performance with costumes, underwater scenery, and of course...lots of dancing!